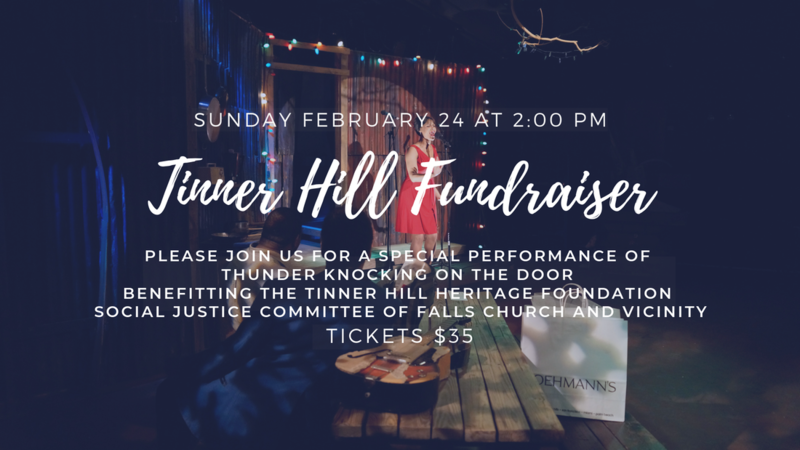 On Sunday, February 24 at 2:00 pm, Creative Cauldron will host a special performance of Thunder Knocking on the Door that will serve as a fundraiser for the Tinner Hill Heritage Foundation. A portion of ticket sales will go to the Tinner Hill Heritage Foundation's Social Justice Committee of Falls Church and Vicinity​. Tickets for this special performance are $35 per person. Senior, military, student, and other discounts do not apply.